Every Game Has a Hero. Video Games’ Expendables Has Them All. A while back, I mused about what iconic characters would best make for a video game version of The Expendables.. Artist Vernon Villaneuva riffs on that idea over on Deviant Art and came up with the gorgeous results above. 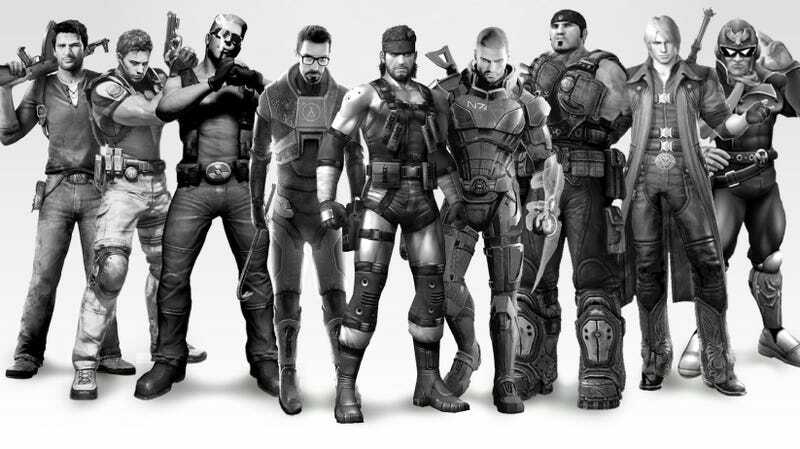 Who Should Star in a Real Video Game Version of The Expendables? Duke Nukem is Sylvester Stallone. Kind of. I also love how the all-star-ness of the idea isn't contained to the cast; it's in the contributors, too. You've got Tim Schafer and Ken Levine writing, Carmack and Kojima co-directing and Koji Kondo on the soundtrack. Don't forget a special appearanvce by... Tingle. Great work, Vernon!